There are 2 living areas, a spacious terrace by the pool with outdoor dining, multiple terraces and a gym. 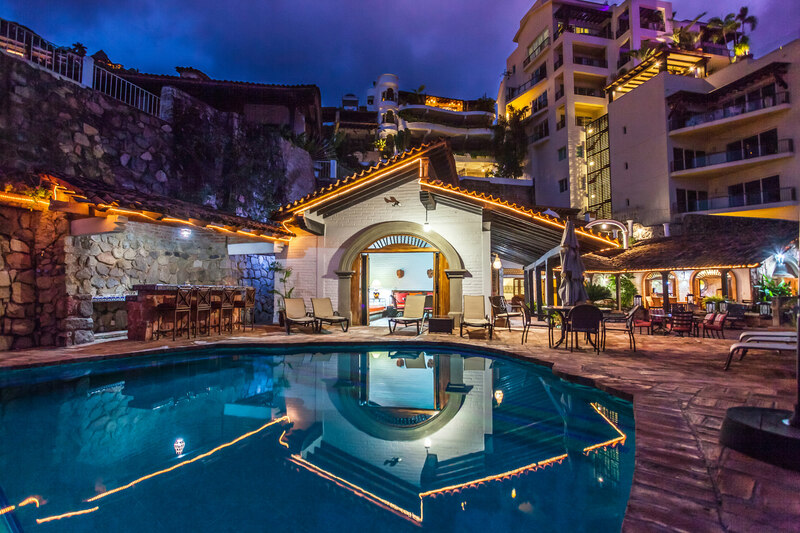 Amazingly all of this is located within a short walk to popular Los Muertos Beach or all the charm and energy of the romantic zone and downtown. All bedrooms have private ensuite baths, TV and air conditioning, 7 of the bedrooms have ocean views and 2 look onto Yvonnke's private banana plantation. The staff is there to pamper you and the gourmet chef is so fabulous that most guests rarely dine out even with world class restaurants just a few steps away. 12 Bedrooms with en-suite bath, TV & AC. 4 bedrooms feature Jacuzzi tubs 9 bedrooms feature King size beds 2 with 2 single beds which can also be made into a King size bed and 1 with a Queen size bed. A maximum occupancy of 24 persons.